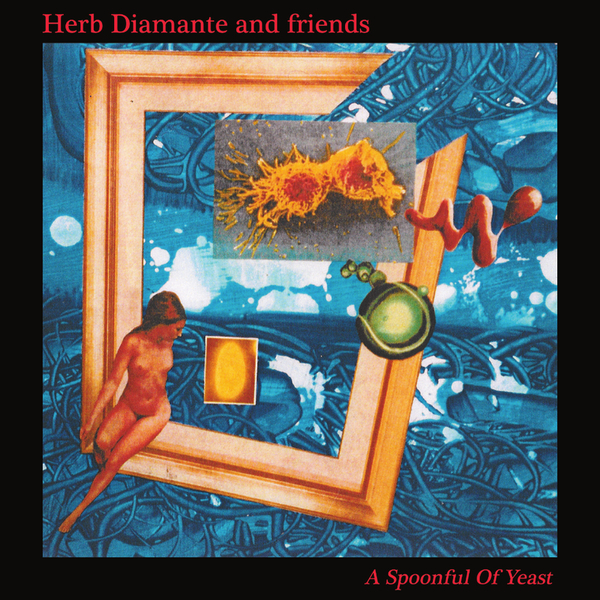 If you enjoyed Herb Diamante's rousing - if not slightly unnerving - take on Bobby Vinton's 'Mr. Lonely' (released towards the end of the summer) this album will come as a welcome treat. The aforementioned track (complete with Sun City Girls accompaniment) opens the album in all its weirdo, lounge lizard glory, only to be followed up with a series of collaborations that further pushes the envelope of strangeness. Sunburned Hand Of The Man, Vibracathedral Orchestra, Climax Golden Twins and other avant-garde luminaries all help out on A Spoonful Of Yeast, but regardless of who's providing the sonic backdrop, its Diamante's disturbing and slightly ghoulish croon that proves the freakiest, most unsettling element. The album seldom fails to be entertaining, and there's a good breadth of material on show: 'Riga' featuring Sunburned Hand Of The Man is a blast, sailing through uneven waves of garage rock psychedelia before the Diatric Puds-assisted 'In New Moon's Lull' shows up, sounding like Broadcast rifling through exotica library records while a Tony Christie impersonator makes his presence felt on the mic.